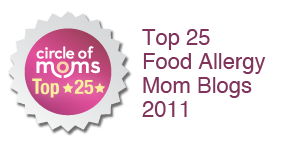 When my daughter was younger, she used to question her food allergies and ask why she had this problem when others didn't. I used to explain to her that people have many things that make up who they are and her allergies were just one aspect of her. I explained that people are a mix of good things and sometimes, not so good things, but that didn't mean that the bad things had to drag her down. I told her if she didn't have her own unique mix of traits, she would be someone else and I didn't want her to be anyone else, allergies or not. So when I read the new picture book "The Princess and the Peanut" by Sue Ganz-Schmitt and with beautiful illustrations by Micha Chambers-Goldberg, I could really identify with the sentiments expressed. This "royally allergic fairytale" (as it says in the subhead) follows the original "Princess and the Pea" story but with a twist. 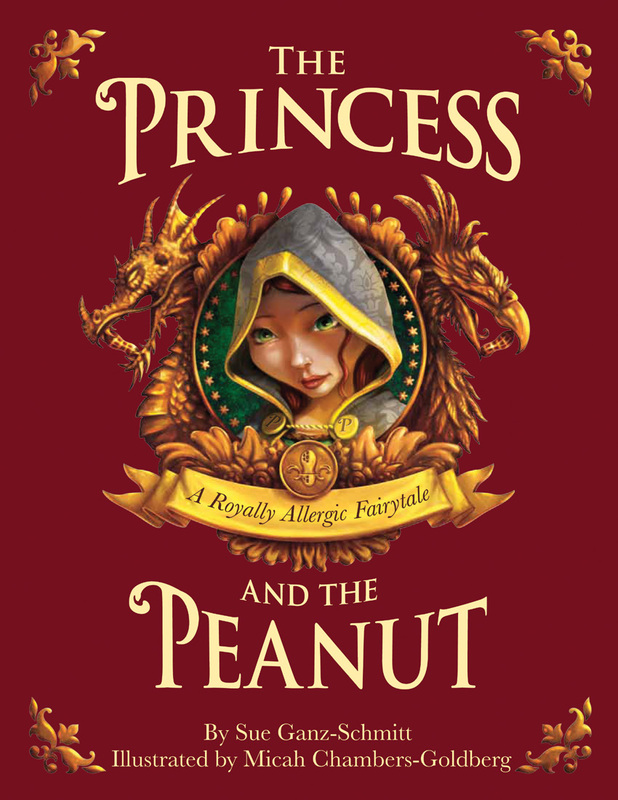 Instead of a pea, a peanut is placed under the many mattresses of the princess and she suffers an allergic reaction. The reaction is handled well, with medical accuracy and a non-scary approach that children won't find off-putting. Since I believe it's crucial that children are not afraid of epinephrine autoinjectors, I was really heartened to see the clever way it was handled in this book. 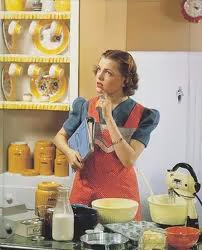 Once the princess undergoes testing, the castle then needs to be cleared of peanut and tree nut products, but best of all, the other castle inhabitants admit to their own allergies that they struggle with, showing that everyone deals with something. 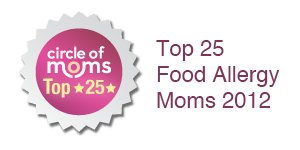 In the end, the prince decides he loves the princess better than peanut butter (and who among us parents hasn't decided that we love our "princesses" and "princes" better than peanut butter)and everyone learns to live a happy life with food allergies. I loved this book and so did my two daughters who are well beyond the picture book stage, but who will probably always love princesses. 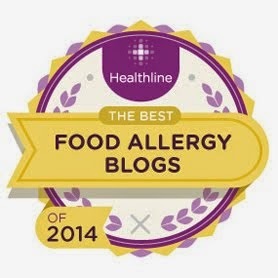 They thought it was charming and gave a positive portrayal of food allergies. My youngest who doesn't have allergies was enchanted by this book because it shows how the people supporting those with allergies have to give things up sometimes, but they do it gladly and with love. She certainly does all of that and more for her big sister. Kids and adults will love the richly drawn illustrations and charming characters, not to mention the useful allergy information and glossary in the back of the book. 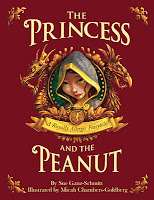 To buy The Princess and the Peanut (a great holiday gift!) and to learn more about this book, visit the book's website. Let me know how you and your kids like this book! FTC note: no compensation was received for this review other than a sample copy of the book. We just purchased this book to be my peanut-allergic daughter's birthday book for her classroom. They have moved away from food treats altogether and are encouraging children to donate to the classroom library instead. What a perfect choice for us! My daughter loved this book - I was pleased to see such a nicely written/illustrated story address the issue of allergies. I find some of the other "allergy" books out there to be too babyish or too much like issue books... this one feels more like a traditional storybook and less like a book only to teach something. Based on your review, I ordered this book and received it today. It is SO perfect!! I just love it. I will be buying one for my daughter's preschool as well.